Amazon is guided by four principles: customer obsession rather than competitor focus, passion for invention, commitment to operational excellence, and long-term thinking. Amazon is driven by the excitement of building technologies, inventing products, and providing services that change lives. They embrace new ways of doing things, make decisions quickly, and are not afraid to fail. Amazon has the scope and capabilities of a large company and the spirit and heart of a small one. Together, Amazonians research and develop new technologies from Amazon Web Services to Alexa on behalf of their customers: shoppers, sellers, content creators, and developers around the world. Amazon is looking for a Digital Marketing Manager in Mumbai, India. If you meet the requirements below, you will be eligible to apply via Digital Marketing Community. Create, implement and measure the effectiveness of digital/mobile advertising initiatives to drive awareness and adoption for Amazon Prime Video. Build and optimize a variety of digital advertising partnerships to drive greater adoption of the service. Demonstrate an ability to work at managing advertising campaign execution, creating and optimizing campaigns, analyzing traffic data and solving problems. Organize with other cross-Amazon marketing professionals to leverage relationships, establish best practices for digital marketing and advertising. Cooperate closely with mobile technology and business teams within Amazon as well as external vendors to manage simultaneous time-sensitive projects. Proactively share and learn best practices from other Amazon digital marketing teams in India and across the world. 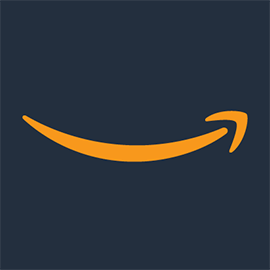 Lead internal, agency and other external relationships to run campaigns across a wide array of digital channels, networks and mediums, reaching maximum current and potential Amazon customers. Keep abreast of new tools, trends, and best practices in digital advertising; test and evaluate their efficacy in improving scale or effectiveness of Prime Video’s marketing efforts and disseminate knowledge on the ones working for Prime Video across Amazon marketing teams. Master’s degree in marketing or business. Bachelor’s degree with relevant experience will also be considered. Minimum 5 years of direct traffic marketing work experience. Proficient experience in the digital media (music, video) Industry preferred. Proven track record in digital marketing for a subscription/opt-in service is preferred. Deep knowledge of digital video landscape, including a solid understanding of digital video. Expert knowledge of the display advertising eco-system including hands-on experience with mobile ad networks, media buying agencies, GDN, programmatic buying, social media, retargeting, etc. Effective experience in B2C traffic generation, managing digital/mobile advertising. Be highly analytical, with a sound grasp of digital media planning and performance optimization strategies. Demonstrated understanding of metrics and quantitative analysis, and ability to turn analysis into actionable programs. Strong verbal and written communications skills with attention-to-detail. Tenacity and sense of urgency; the ability to make things happen quickly with large, less nimble partners and/or teams. Be able to bridge data analysis, research, competitive intelligence to build efficient and scalable customer acquisition programs. Great ability to create innovative new marketing programs and/or partnerships that generate results.